Sorry but this cannot compare to Optifine at all. 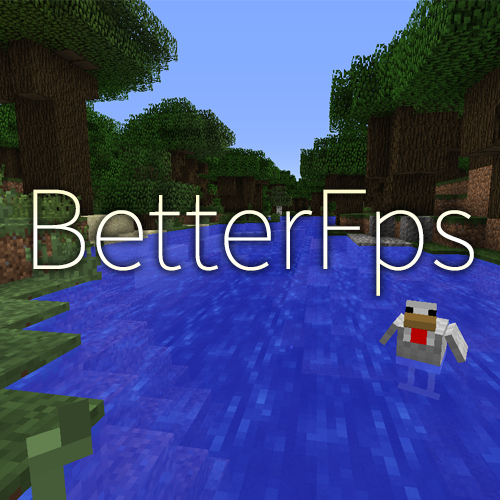 Sure it might give you "better fps" but it doesn't fix lag spikes or microstutter issues like Optifine. My pc gets a silky smooth 60+ fps with most modpacks with Optifine plus shaders but with this mod often looks like a choppy mess despite having no shaders and having "better fps". The mod above works great in addition to Optifine. The above overview page specifically lists 3 other fps mods, including Optifine, with which it is compatible. I would venture to say that if you tried using more than one fps mod then you would notice a substantial improvement over Optifine, or BetterFps solo. Just about any time you use an fps mod you'll want to use at least one or two others, because they often optimize different aspects of the game, that you wouldn't cover otherwise. Yep, but I've read a few modders say "we don't need to fix Optifine incompatibilities anymore, we've got BetterFPS now!" When in reality these two mods are not at all the same and do not fix the same issues. Just dont use it then! Does this work with foamfix? Also even if you don't know have an awesome day! I use it with foam fix and optifine and it works greatly. When I test algorithms, is higher ms better? I was using your mod in a mod pack but it makes all the entities including me have their arms flinging and legs flinging around. It makes things very problematic and makes moving a bit difficult. But I do need the better FPS, but it also is making playing more difficult. You're probably using the Taylor's Algorithm (which is known to have issues on a few processors and architectures) or the random math (which is a joke algorithm). Try switching to another algorithm. This mod is made for making the FPS Higher? if so , don't work. However, it's not clear to me where I'm supposed to do this...?